new The new & improved Rusty's Clean out time! new Crazy Morland's Mega Rolling Stock Blowout! SOLD!!! new GONE! Mantua Rock Island Rocket F7 ABA Set. 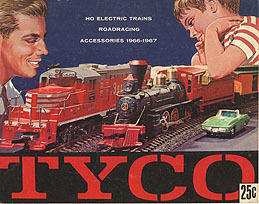 new Interested in cheapie F7's (Tyco's and Bachman Pancakes)? new Yet another updated ho for sale thread! new Priced for quick Sale. new Two Built-up Model Power Log Cabins. $12 each!